Twice the work, half the time? 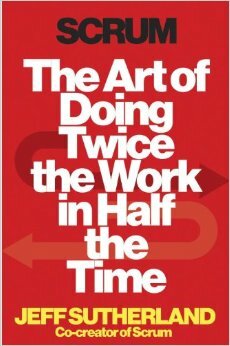 I had the pleasure to pick the book: The Art of Doing Twice the Work in Half the Time by JJ Sutherland. Needless to say it was a great read. It was great to hear from one of the founders of scrum how and why it came to be. Since my work is going through some pains in getting agile and scrum running smoothly I was asked to share a presentation based on the book. Keep reading or check out the presentation here. "Time is finite, treat it that way." "Too often we just reward results, but what we really want to reward is people striving towards greatness"